Nairobi City Hall will in the next financial year set up a radio station as it aims to increase citizen participation in county affairs and cut the cost of advertising in commercial channels. The community radio station, dubbed City Hall FM, is expected to ease City Hall’s burden of mobilising residents for crucial meetings where public consultation is required by the law. The decision is rather urgent as the county last week was criticized for poorly publicizing a forum for interrogating next year’s budget estimates. Less than 100 people turned up for the Monday April 29th 2014 meeting. A lack of citizen participation in law formulation in the recent past forced some lobby groups move to court to contest the County Finance Act 2013. For instance Kiambu County Finance Act 2013 was invalidated by the High Court on April 17th 2014 for lack of public input leaving the county with no legitimate claim to collect some taxes and fees. 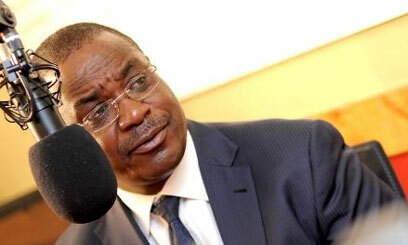 The Nairobi County’s FM station is planned to be set up at City Hall and it will be a community radio funded from the budget and advertising revenue. The station will be fully owned by the county government. County executives say the set-up of the station has been prompted by reduced air play on county issues by the State broadcaster, the Kenya Broadcasting Corporation (KBC). This will also give the County Assembly a platform to broadcast is proceedings similar to what KBC does for Parliament. Bomet County has also announced similar plans to set up a radio station. I know. I know. I know. You could be there either in *tears* or doing a shame *facepalm* at where we are headed as a city. With so many technologies available, especially the potential possibilities of the mobile phone, the internet and social media the best alternative for your taxes is an FM radio station. Well, the idea of community reach is noble, but the execution by City Hall is lame. I am not sure what the radio inventor Guglielmo Marconi (1874 – 1937) would advise but am sure he’d say we go for better technological alternatives at our disposal. Anyway, moral of the story: attend your city’s budget meetings!